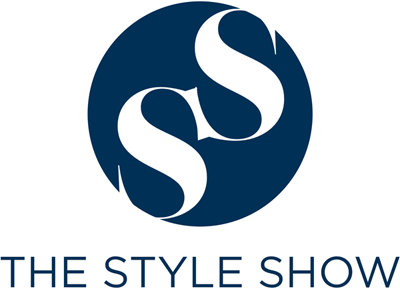 The Style Show: Bloggers United 12 Event + Passes Giveaway! Bloggers United 12 Event + Passes Giveaway! It is my first time joining Bloggers United's selling event, and I am both thrilled and excited to experience everything (thanks to Anagon for this opportunity). Been running for 6 years with its 12th season on December 10, Bloggers United invited a lot of style bloggers, online influencers, and video bloggers to meet and greet their readers. Moreover, this yearly holiday tradition involves a fun bazaar with these awesome bloggers as sellers where you can buy items for as low as P50. 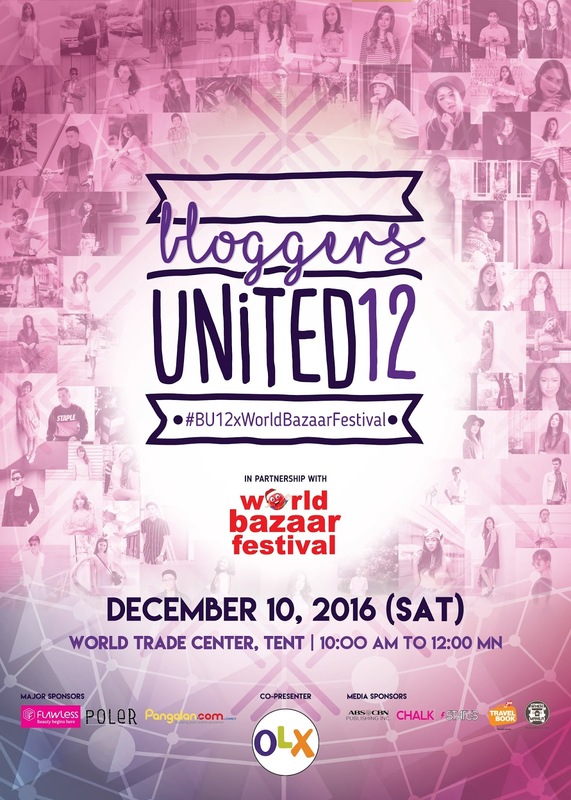 #BU12xWorldBazaarFestival will be held at the World Trade Center-Tent on December 10, from 10am onwards. Expect loads of activities and exciting contests from our sponsors! Also, do not forget to wear something shining and shimmering for a chance to win awesome prizes! Dress to impress, kiddos! Coinciding with this December's event is our partner World Bazaar Festival, which will give you more reasons to shop this Christmas. The biggest bazaar in the metro is slated from December 3 to 22 at the World Trade Center, Sun to Thurs 12nn to 10pm and Fri to Sat 10am to 12mn. Shop from more than 1000 booths in 20 spectacular days at the grandest and longest running charity bazaar for the benefit of the ABS-CBN Lingkod Kapamilya Foundation. This event is open for all! Tickets will be sold at the venue for Php 80, via World Bazaar Festival's Main Hall entrance. See you there! 1. 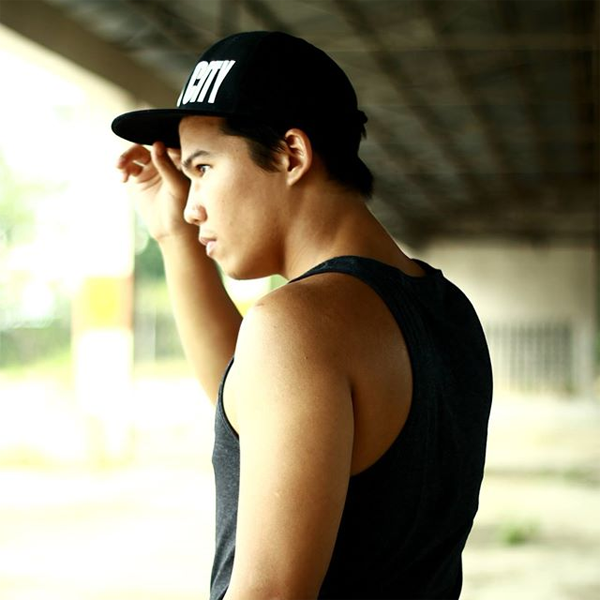 Follow @seftiburcio and @bloggersunitedph on Instagram. 2. Post the BU 12's poster on your Instagram (should be in public) and tag @seftiburcio, @bloggerunitedph and put BU12XWorldBazaarFestival! 3. Will choose 5 winners on December 9, 2016! 4. Each winner will receive 2 tickets each!